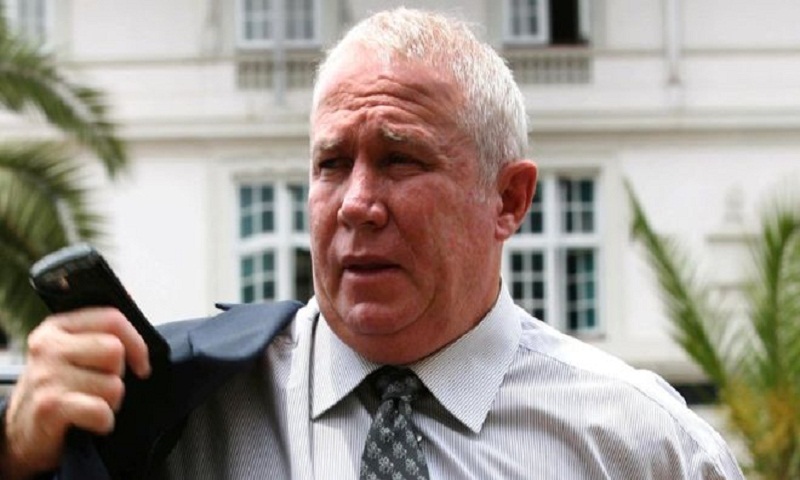 Prominent Zimbabwean politician Roy Bennett has been killed with his wife in a helicopter crash in North America. The couple died along with three others when the aircraft crashed on Wednesday in a mountainous area in the US state of New Mexico. One person survived. Mr Bennett, 60, was a former white farmer who became a stalwart of the opposition party Movement for Democratic Change (MDC). His MDC party colleagues have been expressing their shock on social media. After the deaths of Mr Bennett and his wife Heather were confirmed on Thursday, prominent Zimbabwean opposition politician David Coltart tweeted his sympathy to the couple's loved ones. The private helicopter crashed in north-eastern New Mexico at about 18:00 local time on Wednesday (01:00 GMT Thursday) but the deaths were confirmed by authorities on Thursday. Mr Bennett, a controversial figure, entered politics in 2000, winning a parliamentary seat for the newly formed MDC. A former coffee farmer, he was fluent in the local Shona language and quickly rose within the party. Mr Bennett earned the nickname Pachedu ("between us"), which is a colloquial reference to childhood secrets. His popularity as an MP led to President Robert Mugabe's governing Zanu-PF party holding him in particular disdain. In 2004, he famously lost his temper in a parliament brawl with Zanu-PF Justice Minister Patrick Chinamasa. Mr Bennett pushed Mr Chinamasa to the ground in a row over a land redistribution programme that saw most of the country's 4,000 white farmers lose their land. As a result, Mr Bennett was imprisoned for several months - an experience he described as a living hell. In 2009, as he was due to take up his post in a new power-sharing government, he was accused of involvement in a plot to overthrow Mr Mugabe. He was cleared of treason charges the following year. Mr Bennett left Zimbabwe for exile in South Africa, where he continued to oppose Mr Mugabe. His death comes as Zimbabwe's new President Emmerson Mnangagwa is promising a break with the past, reports BBC.